Barrick Gold’s $18 bln all-share bid for U.S. rival Newmont has a shred of financial logic from putting together neighbouring mines in Nevada. That’s buried, though, beneath opportunism and hubris. The slim uplift for Newmont shareholders further dulls the deal’s prospects. An overview of Barrick Gold Corporation's Pueblo Viejo gold mine, one of the world's largest, is seen in Cotui December 11, 2013. Barrick Gold said on Feb. 25 that it had made an offer to buy U.S. rival Newmont Mining for stock worth $18 billion. The deal would combine the world’s two largest gold producers by market capitalization. Barrick is offering just under 2.6 Barrick shares per Newmont share. Its shareholders will own 55.9 percent of the combined company. Barrick said the deal would generate pre-tax synergies with a net present value of more than $7 billion, including $5 billion from the U.S. state of Nevada, where the two operators have contiguous mines. 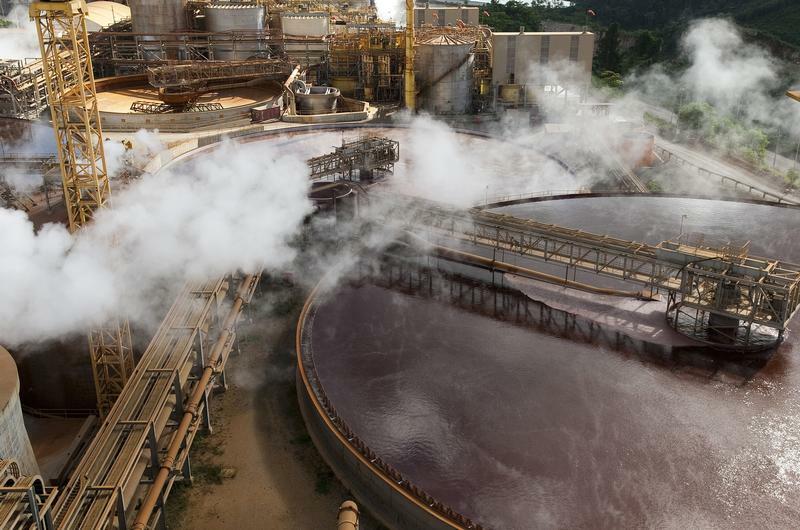 Barrick completed the $6 billion acquisition of Africa-focused Randgold Resources in January. The deal is also conditional on Newmont scrapping its acquisition of Goldcorp, announced on Jan. 14.